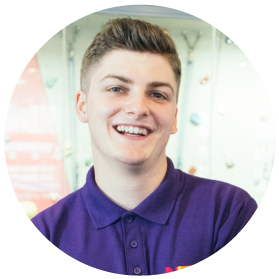 I am the voice of student sport at NTU, providing inclusive and engaging sporting opportunities to students across all 3 campuses. Continue to work closely with BUCS to provide the best opportunities for everybody whilst playing performance sport at university. Increase sporting opportunities for people with disabilities at NTU. Create more sponsorship opportunities for sports clubs by building relationships with local organisations and sports teams in Nottingham. Increase awareness of sporting related opportunities and recreational sport here at NTU such as volunteering and play for fun. Increase media coverage and introduce live-streaming for sports fixtures / events. Introduce termly meetings with club presidents to improve relationships across sports teams. Look into developing committee training for the next academic year. Support clubs with funding through sponsorship links.